Fun to drive and affordable this 2009 Volkswagen New Beetle looks great in Metallic Silver and comes equipped with Leather Upholstery, Power Windows and Locks, Cruise Control, Heated Seats, a Leather Wrapped Wheel with Tilt Steering, a Power Sunroof and an AM/FM/CD/Sat Radio Audio System. This sporty, retro coupe rides on 17 Inch Alloy Wheels and power comes from an economical 2.5 Litre 4 Cylinder Engine mated to an Automatic Transmission and Front Wheel Drive. This affordable 2013 Dodge Dart features Air Conditioning, Power Windows and Locks, Cruise Control, a Leather Wrapped Wheel with Tilt Steering and an AM/FM/CD Audio System with Bluetooth. This sporty sedan rides on 17 Inch Alloy Wheels and Power comes from a 2.0 Litre 4 Cylinder Engine mated to an Automatic Transmission and Front Wheel Drive. Call today to book your test drive or stop by for a look, we're located on Leathead Road in Kelowna. This sporty 2013 Dodge Dart Rallye looks great in black and comes equipped with Air Conditioning, Power Windows and Locks, Cruise Control, Sport Seats, Tilt Steering, a Power Sunroof and an AM/FM/Sat Radio Audio System with Bluetooth. This mid-size sedan rides on 17 Inch Alloy Wheels and power comes from a 1.4 Litre Turbo 4 Cylinder Engine mated to an Automatic Transmission and Front Wheel Drive. Call today to book your test drive or stop by for a look, we're located on Leathead Road in Kelowna. This low kilometre 2014 Chevrolet Cruze LT looks great in Metallic Silver and comes equipped with Air Conditioning, Power Windows and Locks, Cruise Control, a Leather Wrapped Wheel, Tilt Steering and an and AM/FM/CD/Sat Radio Audio System with Bluetooth and a Backup Camera. This sport sedan rides on 16 Inch Alloy Wheels and power come from a 1.4 Litre 4 Cylinder Engine mated to an Automatic Transmission and Front Wheel Drive. 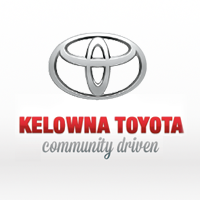 Call today to book your test drive or stop by for a look we're located on Leathead Road in Kelowna.